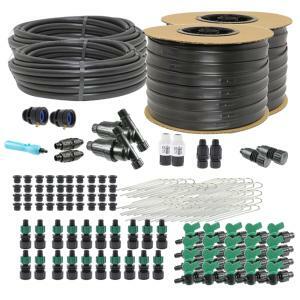 The Premium Drip Irrigation Kit for Small Farms can water up to 20 rows and includes two complete Head Assemblies. 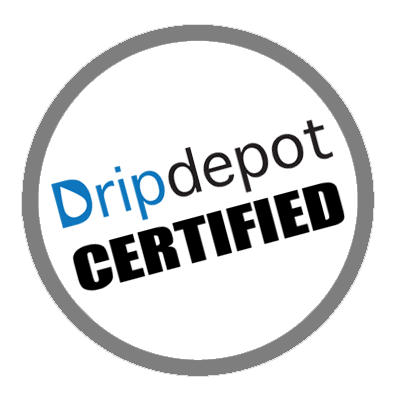 Includes 3/4" Poly Tubing for mainline allowing higher flow rates and longer drip tape runs.This is a complete, self-contained drip irrigation kit that comes with everything you need to create a working system. The drip irrigation tubing (or tape) in this kit can be cut with ordinary household scissors, box cutter or tin snips. You can view and/or print the detailed installation instructions by clicking on the button below the parts list.